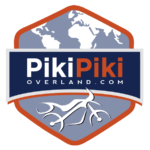 Some thoughts and our experience on how and what you pack for a motorcycle trip. The decision depends on a few basic points. When and where you are going. How long you are going to be on the trip. Will it be a rough off road type trip or an easy touring asphalt trip, or a mix. Will you carry a pillion. Credit card trip or camping or both. When packing for a motorcycle trip, only take what you need! Customer of our friend MotoHank in Texas. Frame was cracked and tools alone was 20kg. Minimalistic travel is an art reduced to its necessary elements. People bring everything, “just in case,” and end up dragging a coffin and rubbish they never use. Instead of thinking about what to add, think about what you can cut. Packing properly and only what is needed is hard. But it’s totally worth it! Once you force yourself to pack smarter and lighter, your life on the road becomes so much easier. You will feel like a bird, not packed like a mule. Lay out all your gear & equipment. Strive to ruthlessly eliminate items, start to eliminate anything you don’t absolutely need. If it’s your first big trip, you might end up packing more things just because ‘more stuff’ feels somehow comforting and safe. Try resist this desire to be overprepared. In our experience, packing light allows us to spend more time focusing on the things that make travel great. When buying gear and equipment look for items with same use functions, chargers and try to carry items and wear clothes that are flexible enough to cover a variety of situations as example. Items that can be used for multiple uses. Limit and think carefully about anything used only on unique occasions. Pack and repack, learn how to pack smarter and more compact. When you are finish then do it again. You will find you can easily shave off 5kg – 10kg. We have send back 10kg one month in our trip and then again another 5kg around 3 months into our trip. Pack on the Tetris game concept. Eliminate space. One big benefit is that gear packet tight will stop chafing and damage due to vibrations. We refuse to carry things that are not useful. Our main aim is to always select products that is lighter or better designed. Weight is not your friend – especially on a motorcycle and in off road use where you travel alone without the security of a back up. Weight severely affects the handling of the bike. Weight increases the wear and cost on shocks and in many cases can crack the frame of the bike. Organise And Categorise – Panniers have a natural tendency to be black holes. The most important things always seem to get sucked down to the very bottom of the pannier. That is the last thing you want during a storm, when you’re trying to find your rain gear. Just a little organisation goes a long way towards avoiding this chaos. This is all our camp stuff for our years on the road. We have packed like this since we left South Africa in 2010. Tent, sleeping pads, cushions, 2 blankets and 2 chairs in one 55L wide mouth waterproof and dustproof duffel. Start by sorting things into categories – Pack all the food and cooking gear in one bag. Then your clothes. Pack the tools and spare parts you are carrying in their own bags. The equipment you’ll need in the tent at night and so on. This will help you remember where everything is and not having to unpack everything. Repairing a tyre goes much quicker when the tubes, levers and patch kit are all in one place and not spread across your panniers and bags. Thin packing organiser bags – We found these small organising bags from Eagle Creek the best things since sliced toast. This way of packing is now part of our travel modus operandi whether we fly, bike or drive on travels. Organise by getting multi-coloured bags or zip-lock bags and putting things into sub-categories. We have one bag for socks, one for underwear, one for t-shirts and so on. These organiser bags are thin, lightweight and takes up no space. The big benefit is that you do not have to unpack everything in a duffel or a pannier just to get to something lower down. Even our tools are packed in these bags. The wide mouth duffle bags works very well for an on the top of the motorcycle bag. They are waterproof easy to remove from the bike when parked. The duffel bags can be used to carry a chair, tent, sleeping mats, camp sleepers, and other camping equipment. Having all the camping stuff in one bag ensure less will get lost or fall off the bike if not properly secured. We use these Compression bags from Eagle Creek to pack the blankets. It reduces size by about a 3rd and keep them waterproof and dustproof. All our clothes, laptop and shoes for our 2-3 year overland journey. All packed in Eagle Creek packing cubes. It is easy to remove and organize. Stuff bags – the sausage looking roll type bags are cheap but very frustrating to use when needing to get stuff out and to pack properly. Basically you need to get everything out to get to what you need and then stuff everything back in. Balance the weight – Try to balance the weight both from side to side and from front to back. Especially try not having weight too far back out behind the rear wheel. 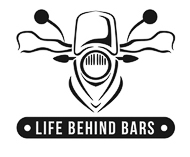 A lopsided motorbike will be difficult to steer and dangerous to ride. Uneven weight also puts unnecessary pressure on the racks and frame of the motorcycle. You do not want the bike topple over due to too much weight on one side when you stop or try to negotiate a difficult off road track. It sounds very obvious but it is an easily overlooked point. There is no need to carry a scale to get the weight distribution perfect. Pick up the bags, how do they feel? Do the right pannier weigh roughly the same as the left pannier? A difference of a couple of kilograms is unlikely to make a difference. If you feel that one is significantly heavier than the other, try to reorder a bit. As a general rule we try and carry less than 25kg – 35kg on each bike. Actually we try and keep the weight more or less to 25kg for 2 panniers and 1 duffel bag. Beautiful river views in Portugal. Perfect place to wild camp. Important valuable stuff goes on top – Think about what you are likely to need during the day and then put these things near the top of a pannier, where they’re easily reached. Rain gear, sleeping stuff, electronics, clothes, ect. 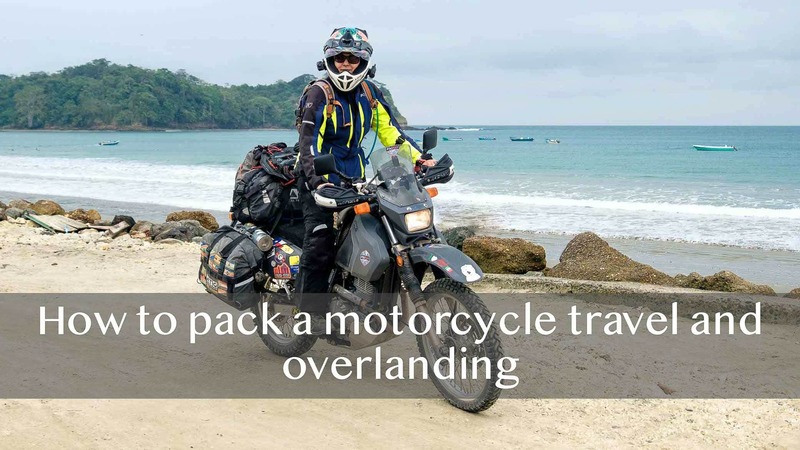 Pack the heaviest stuff into the panniers or as low as possible on the motorcycle. If the weight is on top of your bike it will make handling and maneuvering the bike more difficult. Think of the weight on top of the bike as a metronome weight moving. Keep your heaviest stuff in the panniers and as low down as possible on the bike. Leave extra space – There is always something you’ll want to add to your bags, like buying beer and meat in the afternoon before setting camp or a souvenir. If your bags are stuffed like a Christmas chicken before you leave they’re too full. Get rid of stuff until you have at least half a pannier free. Protect sensitive stuff – Anything liquid like chain or engine oils, shampoo and such should go in the strongest container you can find and be placed so it stands upright in the bottom of a pannier if possible. Tools & spare parts- The one thing that can increase weight easy. Tools are the only thing you will carry that if not careful can increase weight substantially. Take some time and go through the bike and limit only tools that is of use on the bike. 10,12,13,14 type spanners/sockets are used on most bikes. If there’s no 17 nut on your bike don’t take such a spanner or socket. Go source lightweight compact spanners or sockets. You do not need all sorts of screwdrivers, use something like the Leatherman multi tool with various interchangeable bits. Learn to change a tyre with 3 small short tyre levers, not the big long ones. With some logical and critical thinking it is possible to limit tools and spares. As example we do not carry a chain breaker, yes it is a very valuable tool, but I have to decide if the weight is warranted seeing that we never had to use one…yet. So I can take a chance on that item not taking it. But then make sure and use a proper branded respected brand of chain and not a Chinese knock-off. Electronics need special protection. -Electronic stuff don’t do well with offroad vibrations, bumps and falls. Soft padded case will protect a laptop and other gadgets from dust, vibrations and shock. Add further protection by packing electronics between layers of clothes, to minimize their exposure to bumps and shocks. As example use products that only use USB charging, so you only have to carry one or two cables and wall sockets to charge cell phone and camera etc. We recommend the use of a tankbag – for the most critical items like maps, cameras, wallet, passport and other valuables. It can come with you when you need to leave the bike for a few moments. The peace of mind that comes from being able to take these crucial stuff along makes it much easier to lock your bike up when having to go through border post or just running into a shop for food. This is a general guideline and you might find other ways that works better for you.